Dividends to be paid quarterly. Projected returns of £214.18 in year 1, £89.48 in year 2 and £239.54 in year 3. We have selected 4 properties from our upcoming pipeline to wrap up in a newly formed Limited Company structure. The offer is unusual in that investors are investing in a short-term business that will end after 3 years. Quarterly dividend payments will be made. Win Win Lettings will be appointed Executive Director and will own 55% of the newly formed company. All projects managed under this company will be managed the same as our current short-term let properties. The investment is required to cover deposit for 1.5 months, 1 month's rent in advance, agency cost (if applicable) and refurbishment and staging costs to our current operational standard. Win Win Lettings was incorporated on 23 July 2015 and currently the company manages 10 long-term rent to rent (R2R) properties with long-term tenants. In addition, Win Win Lettings also manage 5 short-term let properties. The main focus of the business is to acquire and manage short-term let accommodation due to the market opportunity and typically higher returns. The long-term vision of the company is to create a Real Estate Investment Trust (REIT). Win Win Lettings was created just over an year ago by determined entrepreneurs who started working on their passion for property. The company founders have recently identified an opportunity in the London market for short-term accommodation mainly working with corporate and leisure clients. Miroslav Gospodinov - Director. Miro's experience is in real estate financial analysis and predominantly focusing on creating robust processes and procedures in the company. If not in the office, Miroslav is meeting with current and potential business stakeholders. Ivo Gospodinov - Director. Ivo's experience entrepreneur who deals mainly with Business Development in the company. Ivo spends most of his time identifying new opportunities and developing Win Win Lettings brand awareness. 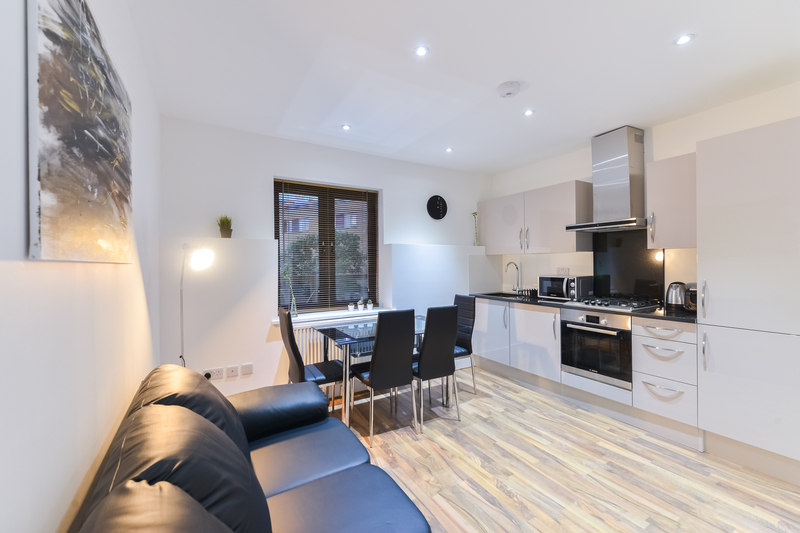 1 bed flat in Canary Wharf taken on 03.03.2016, 2 bed flat in Whitechapel taken on 20.06.2016, 2 bed flat in Whitechapel taken on 20.06.2016, 1 bed flat in Whitechapel taken on 25.06.2016, 3 bed flat in Aldgate acquired on 10.07.2016. We have also signed a contract on a project for a whole building that we are taking over on the 01.09.2016. The building consists of 8 self-contained flats: 1 studio, 1 bed, 3 bed, 3 bed, 2 bed, 2 bed, 2 bed and 2 bed flat. We are finding landlords through estate agents who are looking for hands-off, guaranteed monthly rent, property management and they are happy to provide their property to short-term tenants. We offer a guaranteed rent, no voids, a light refurbishment and a 3-5 years contract. We then rent out the property to corporate, or leisure guests. Our profit is created by the difference between what the short-term tenants pay us and what we pay the landlord\agent minus the utility bills and some tenant improvements. Based upon feedback received about the terms of this deal, the team at Win Win Lettings have decided to change the structure of the deal slightly. The terms are more favourable to investors and the projected return over three years has increased by 32%. Full details can be found in the new investor memorandum that is available to registered users.